"Sequel" is just one of the best words ever coined, isn't it? That one word has been sending chills down my spine for time immemorial it seems. So when asked to come up with ten of the best ones out there, I decided to pull the reins in tight so to speak. We're going with direct sequels here, number two in the series every time. In most cases, I didn't think the first book could be topped. In a few select ones, the first book and I were casual acquaintances and then the author just went all in with the second, leaving me gobsmacked (I'm looking at you The Queen of Attolia). I look at this list and I'm looking at home. At falling in love. At every good thing. The Kestrel by Lloyd Alexander - Stuff gets real in this book. Dark nights of the soul, man. Dark nights of the soul. The Hero and the Crown by Robin McKinley - McKinley doesn't "do" sequels. Except when she totally does and goes back in time a few hundred years for some good old-fashioned dragon slaying. Dicey's Song by Cynthia Voigt - This book had no right to be as good as it is. I mean, Homecoming was great and all. But Dicey's story is dinner. Life Without Friends by Ellen Emerson White - Probably my favorite instance of a bit character in the first book getting a second chance. One of the sweetest and well-deserved romances I've had the pleasure of reading. Morning is a Long Time Coming by Bette Greene - This one I wasn't expecting. Which made it all the more beloved. Of course there was more to Patty's story. There had to be. And of course it took place in Paris. Nowhere else would do. Son of the Shadows by Juliet Marillier - Textbook example of blowing readers away after a perfect first book. Oh yeah? Well, how about this. An original fairy tale all her own. Speaker for the Dead by Orson Scott Card - This book. It is so beautiful. And so different from Ender's Game in every particular. I love that he wrote EG so that he could write Speaker for the Dead. Comparatively few people continue on to read it, but wow they are missing out. 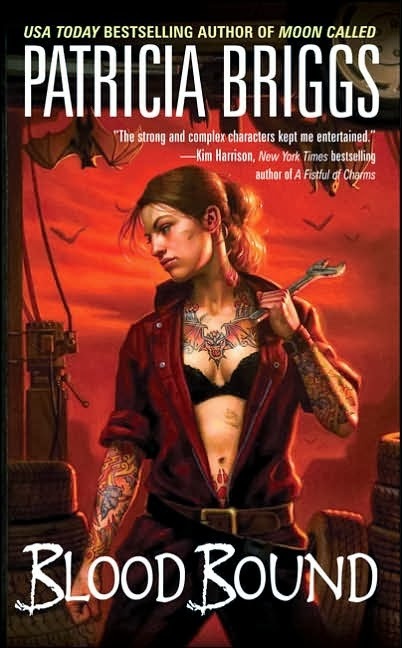 Blood Bound by Patricia Briggs - This book cemented my love affair with urban fantasy. I gave up my heart without even a hint of regret. Everything about it is perfect. Fire by Kristin Cashore - She just . . . writes better than everyone else. Yeah. I think that's what it is. 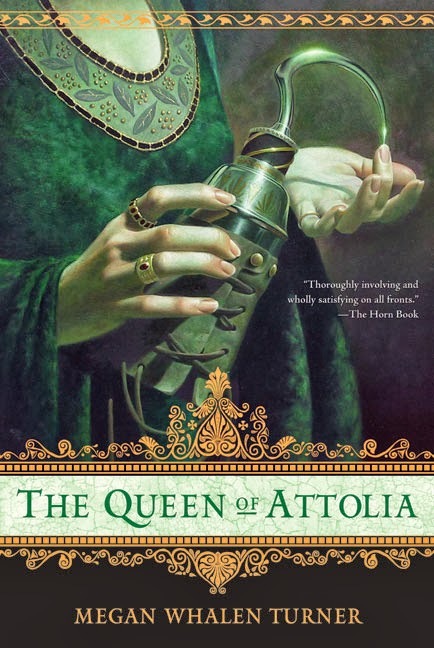 The Queen of Attolia by Megan Whalen Turner - I may have held my breath the entire time I read this astounding piece of work. Until that final line, when I was able to exhale along with Attolia. Because I believed him, too. Dicey's Song! Oh, yes, that's a great one. And The Queen of Attolia topped my list. Best sequel! So much love for both of them. That's a great list. I've read 6 of them. the Queen of Attolia absolutely blew me away. And Blood Bound might be my most re-read of that series. I've been thinking for a while now that I need to pull Westmark off my shelf and read that series again. 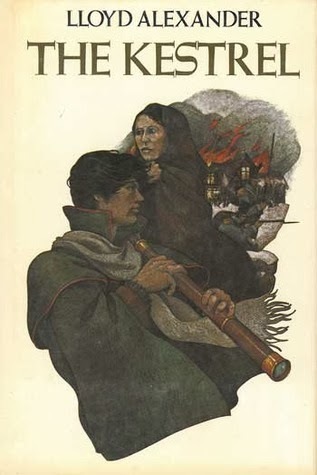 I haven't read it since I was a kid and I remember I liked it, but it was always over shadowed by my complete and absolute love of Prydain. It blew me away, too, Misti. I was such a goner from start to finish. Blood Bound is definitely my most re-read of the Mercy books. It just all came together for me there. Prydain is hard to see past, I know. :) But I hope you do find some time to revisit Westmark. It's a keeper. I absolutely love Robin McKinley books. The Hero and the Crown was so good. Queen of Attolia is another great choice although I liked The King of Attolia better. Patricia Briggs Mercy Thompson series are the best werewolf books out there. Great list!!!!! She is an all-time fave of mine. A lot of people like KING better. And it is, without a doubt, a perfect book. But something in me clings to QUEEN. I think it's because that's the one that made me fall irrevocably in love. I loved Speaker for the Dead. It was every bit as good as Ender's Game, but you're right, it was so very different. Yeah, definitely a horse of a different color. But such a sophisticated story. I love its nuances. I second those books. Love me some Juliet Marillier and Robin McKinley. And Fire is my favorite of Kristin Cashore's series. I haven't read Life Without Friends. I'll add that to my list. My favorite as well, Lin. Ooh, let me know if you do read LIFE WITHOUT FRIENDS!! Brigan... BRIGAN. I don't think I could read another book for a week after finishing Fire. Attolia is the HBIC as far as I'm concerned. I look at this list and I'm looking at home. Love this line, Angie! Attolia is absolutely the HBIC. I love that Gen loves her. Great list! I haven't read all of these, but I agree completely with the ones I have read. The Queen of Attolia swept me away and I just loved that last line. Fire was amazing (I actually read it before Graceling but it's my favorite of Kristin Cashore's books). 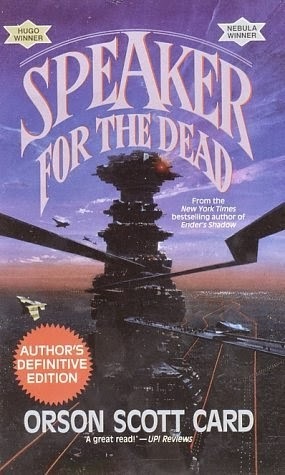 I also loved Speaker for the Dead more than Ender's Game. And Blood Bound was the book that hooked me on the Mercy Thompson series. I was already in love with MWT's works after The Thief, but I agree The Queen of Attolia really upped just everything there. It's definitely one of my favorite sequels ever. And I loved The Hero and the Crown, although I haven't actually read The Blue Sword. When I read Marillier's original Sevenwaters trilogy, I didn't like the second and third books as much, but that was years ago. I have to go back to re-read and see if my opinion has changed since then! Oooh. READ THE BLUE SWORD. Man, I wasn't planning on reading Speaker of the Dead. I loved EG a LOT and was really happy with the ending, so I figured I should just stop there. Hehehe. I felt similarly, Allison. But SPEAKER is such a different beast. I think you could fall in love with its magic, too. Queen of Attolia blew me away, and I am a very picky reader. My daughter begged and begged me to name my baby Eugenedies--I almost did it. WE ALMOST DID, TOO, SALLY. I kid you not, we were seriously considering Ender Eugendies for our third. I am completely with you on Kristin Cashore and Megan Whalen Turner. The sequels, the brilliance and all else. I am just a huge fan girl now! I have added some books on to my reading list from here. Awesome, Shweta! I hope you find something that delights. Cashore and Turner are the top. Period. 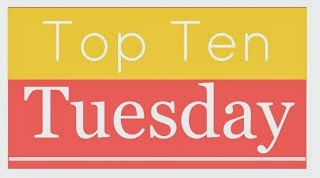 I agree, great list, even though I haven't read many of them. But they are authors I like, and I don't know why. Sometimes one is fearful about sequels, of being let down. I am definitely adding this list to my library request list, thanks! Yeah, I know that fear. It's real. I hope something in there works for you! Totally agree with you on Speaker for the Dead. With Ender's Game the movie coming out, I take ANY opportunity I can to say, "Enders was good, but Speaker will BLOW YOUR MIND." Great list! The Queen of Attolia! Son of the Shadows! Fire! I'm glad we share a few titles in our list. I have copies of Speaker for the Dead and Morning is a Long Time Coming and I know you love both of them but I really have no idea when I'll get to read them. Sigh, there are just way too many amazing books waiting to be read out there. I know there are. Soooooo many. Fantastic list, Angie! The Hero and the Crown -- how did I forget that one? (I think it's because I think of it as a prequel rather than a sequel.) Speaker for the Dead was excellent. And yes, yes, I will get to the Thief series eventually, but they keep sending me more books to review! Yeah, it really is for all intents and purposes a sequel. And people often disagree on which order to read them in, chronologically or the order in which they were written. Somewhat surprisingly, I almost always come down on the order in which they were written side. So I tend to rec BLUE SWORD first and then HERO. Those tantalizing glimpses of Aerin in TBS begged a sequel/prequel. Yay for Dicey's Song, Hero and the Crown and Fire! Love all three of those books! :) I think what makes Dicey's Song so great is that she has to learn how to just be a kid/teen again without being a Mom to her siblings and in charge of all their fates. She gets to explore herself as an individual and it's real & scary for her to do that! Great list. You're so right. She has the space to do that. And her friendship with Jeff is such a highlight for me as well. Yes. Yes. Yes to all those picks. I hope you know I specifically read MORNING IS A LONG TIME COMING and THE KESTREL on your recommendations alone (they were awesome btw). DICEY'S SONG is also great -- but I must admit to having a supreme fondness for A SOLITARY BLUE in its stead, but I guess it doesn't qualify by your parameters here :) The only one I haven't read from this list is SPEAKER FOR THE DEAD. I don't know why, I loved ENDER'S GAME. I was hoping to do a reread of that before the movie anyways so maybe I'll get to both in one fell swoop. Great list! That tickles me to no end, Michelle. A SOLITARY BLUE is, in a word, fantastic. I <3 Jeff Greene so much. It's incredibly difficult for me to pick a favorite from that series. I whittle it down to DICEY'S SONG, A SOLITARY BLUE, and SEVENTEEN AGAINST THE DEALER and sort of melt down at that point. All so, so good. Read SPEAKER. I love it. I saw the new Voigt and was thinking it might be just the time to introduce my son to her books. I love the Kingdom books, too. It's been awhile since I read ON FORTUNE'S WHEEL. Might be time again.